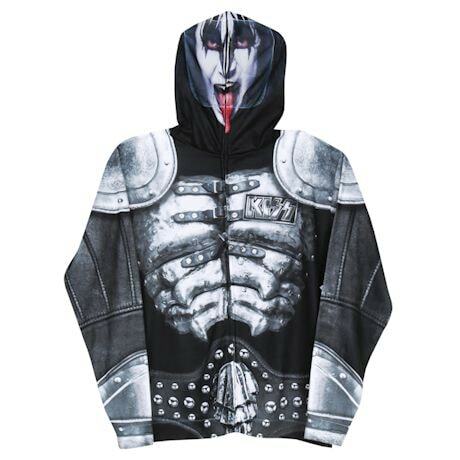 The most badass hoodie around-complete with a zip-front hoodie that masks your face as The Demon, plus detailed printing that captures all the rivets, leather straps and polished hardware of an actual KISS stage costume. Machine wash. Soft 100% polyester. Imported. M-XXL.